I will admit right here and now, that I like art museums just about as much as I like the beach. Which is to say…not that much. In fact, one of the first conversations that I had with Jeff was a confession about my dislike for beaches, art museums and concerts. I dislike sand and I detest crowds, and this must be admitted to any prospective suitor right at the start. I would be a terrible Lollapalooza date. Anyone who knew Jeff will understand how utterly committed he was to proving me wrong. On my birthday, he took me to see my favorite band in an intimate venue where there was no crowd. He even managed a VIP meet-and-greet with the artist. He was right; I loved it. On New Year’s Day, we went to the Oregon Coast where Jeff insisted on doing a complete Goonies Tour of Astoria. He was right; I loved it. 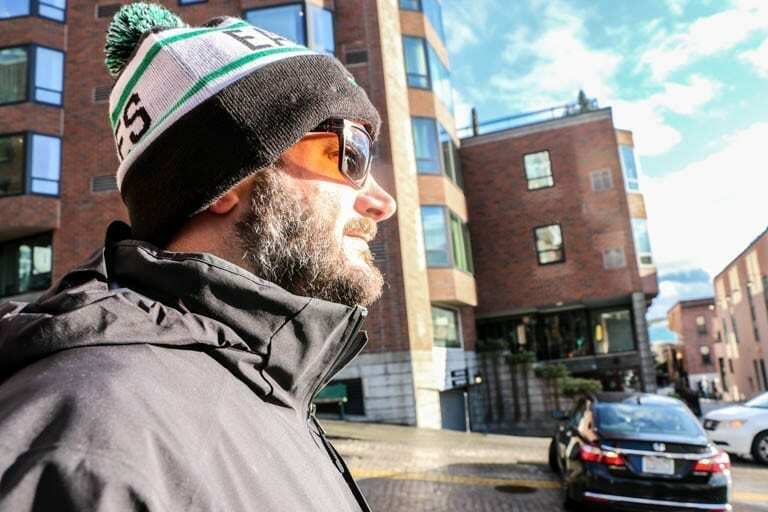 Jeff in Seattle. He loved the Pacific Northwest. We were planning to move there. 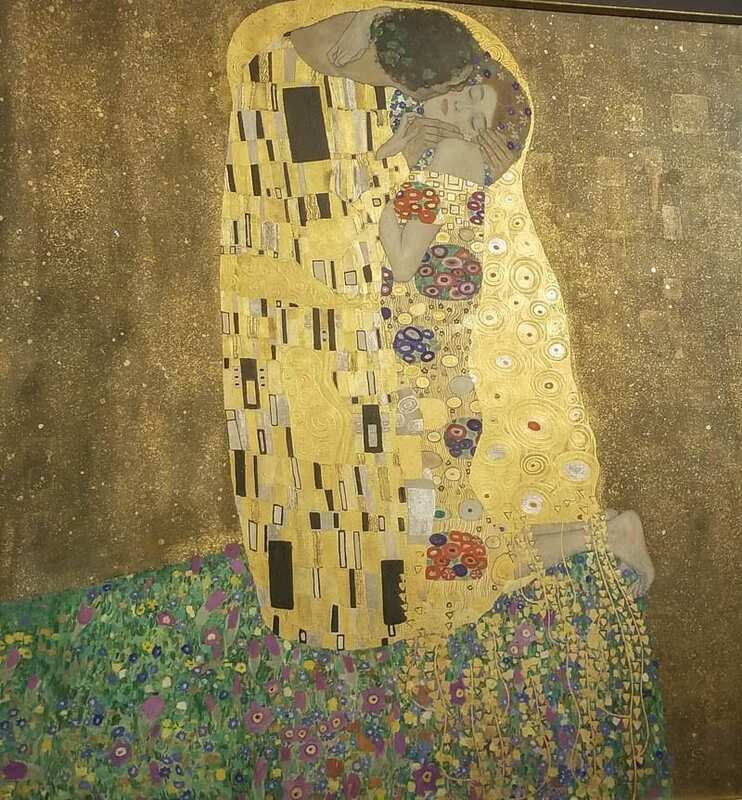 Now, there is no way that Jeff could have known when he came to Vienna and fell in love with Gustav Klimt’s painting “the Kiss” that I would stand, in that same museum, surrounded by people, but very much alone, just one year later. There is also no way that Jeff could have known that sunflowers would become a sign for me of his presence. 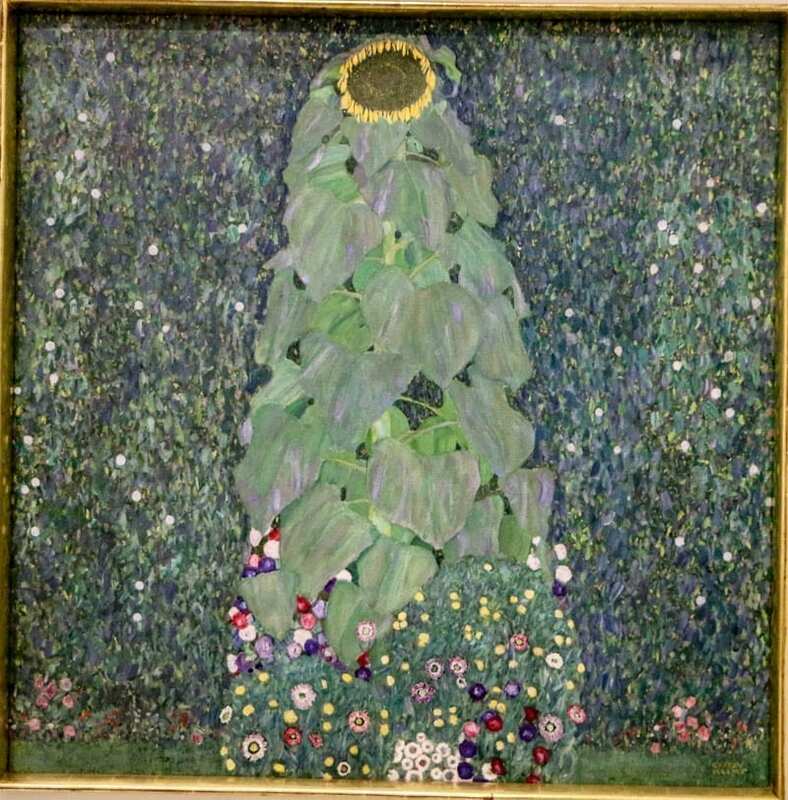 And there is certainly no way that Jeff could have known that Gustav Klimt’s other famous painting called “the Sunflower” would move me to tears in the middle of a crowd in the center of an art museum. He was right; I loved it. You see, Gustav Klimt is to Vienna what “Rocky” is to Philadelphia or what the “Sound of Music” is to Salzburg. His paintings are everywhere. In every shop window and every tourist kiosk. So, somehow, Jeff managed to surround me with sunflowers. I have another confession. It isn’t one that I had an opportunity to share with Jeff. Here it is: I am obsessed with alternative rock from the 90s. Everclear, Blink 182, the Goo Goo Dolls, you get the picture. It is about the only kind of music that could inspire me to go to a concert alone. 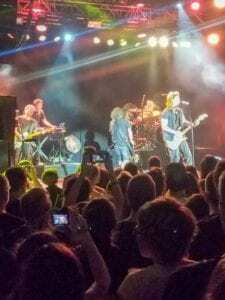 Actually, until the Goo Goo Dolls came to Vienna on what would have been our anniversary, I had never been to a concert alone. But, there I was, in an intimate, graffiti-covered concert space, rocking out to the Goo Goo Dolls alone. 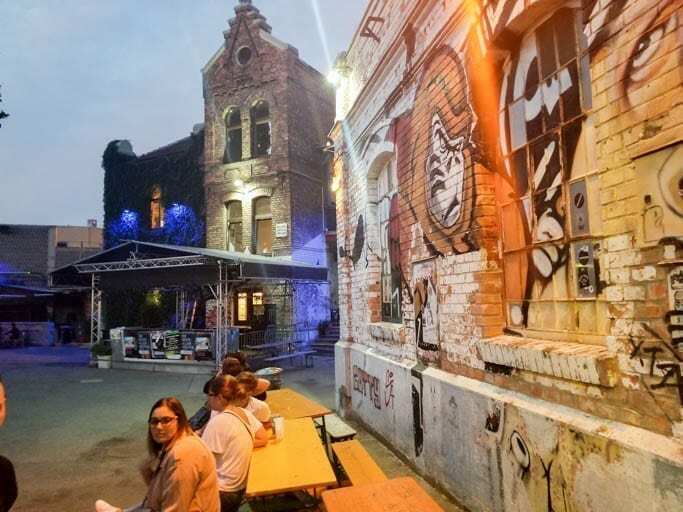 Just outside that concert venue in Vienna, I sat at a picnic table and moved the beautiful ring that Jeff gave me from my left hand to my right. I am pretty sure that I will never take it off again. 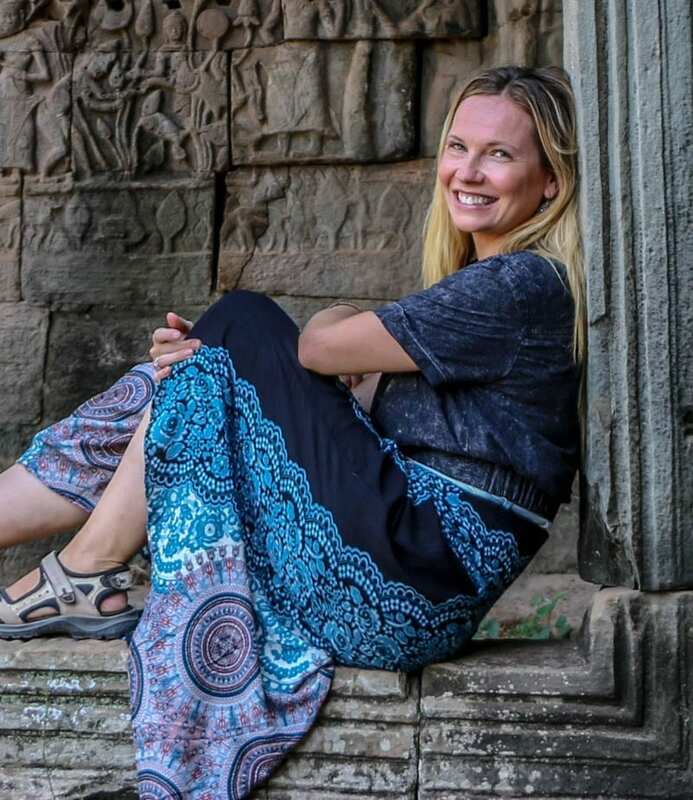 It’s funny the things that you think about when you do something symbolic like taking off a ring. In that moment, I thought about the first time that I knew just how much I loved him. We were in New Orleans. It was November and, for my fellow 90s music fans, it was, indeed, raining. Jeff wanted to walk to a restaurant that he had researched, so we set out for a brunch location on the opposite side of town. Along the way, I picked up a gift for an upcoming Secret Santa exchange with his family that I was seriously nervous about. Also along the way, what was a drizzle turned into a downpour. 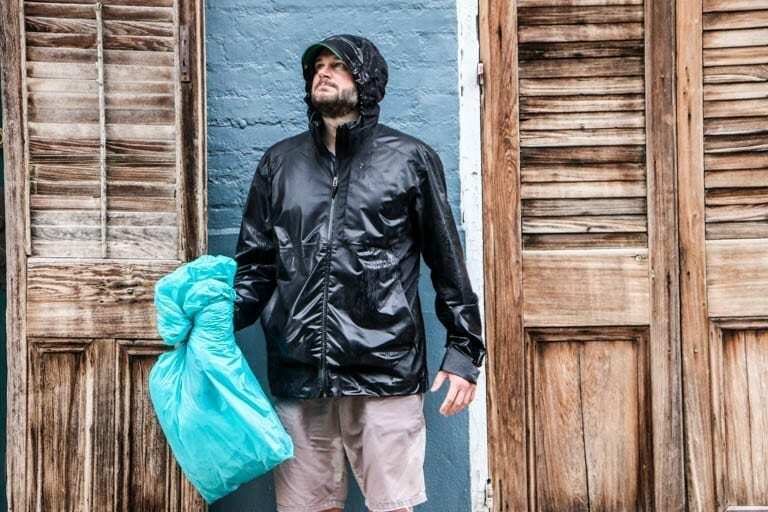 And that is how I have a picture of a soaking wet Jeff holding a stuffed Santa leg on the side of a New Orleans street. This experience could have been terrible, but we laughed the whole way. I took the picture because I realized how rare it is to capture the moment that you fall irretrievably in love with someone. 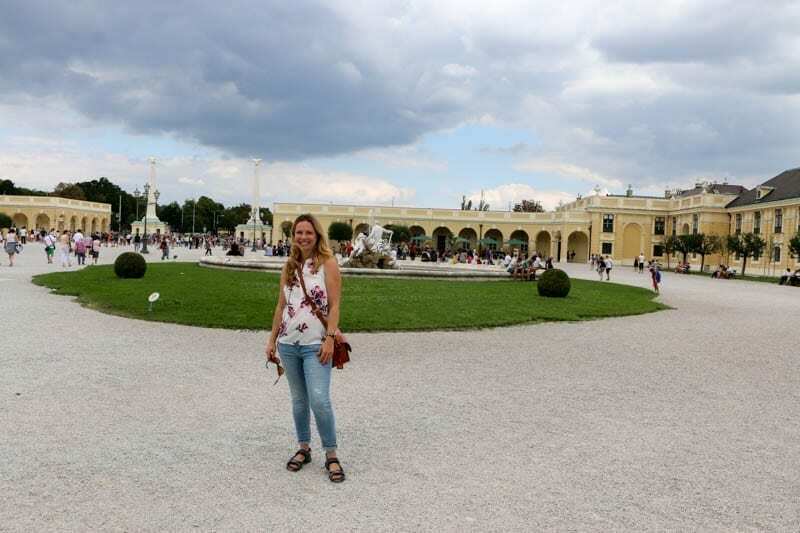 And so this “Vienna” post is really about a remarkable person and a love that I am lucky enough to carry with me. Always. 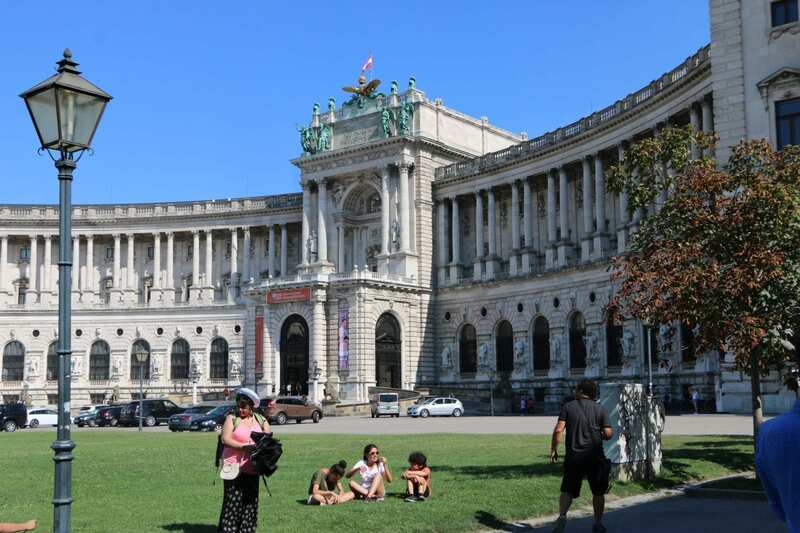 Jeff’s favorite thing in Vienna was the Opera House. 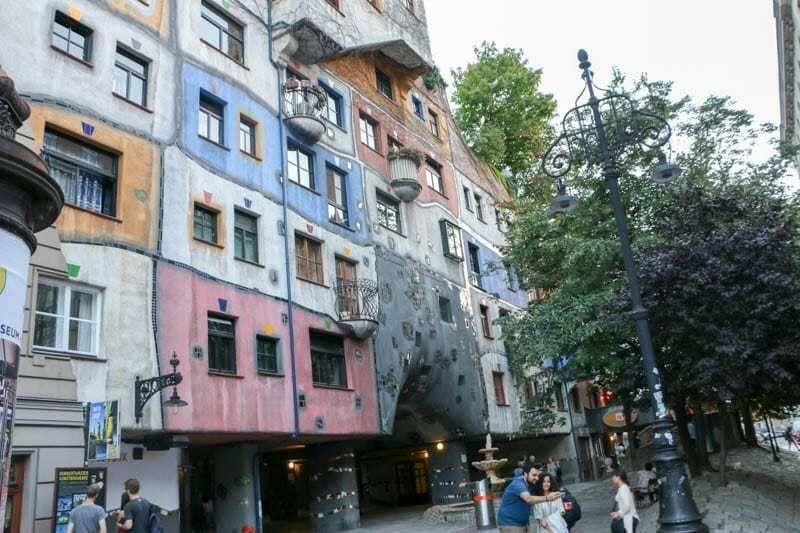 My favorite thing in Vienna was the Hundertwasserhaus, which I never would have seen if not for Jeff’s itinerary. This restaurant where Jeff went with his family is very meat-centric. 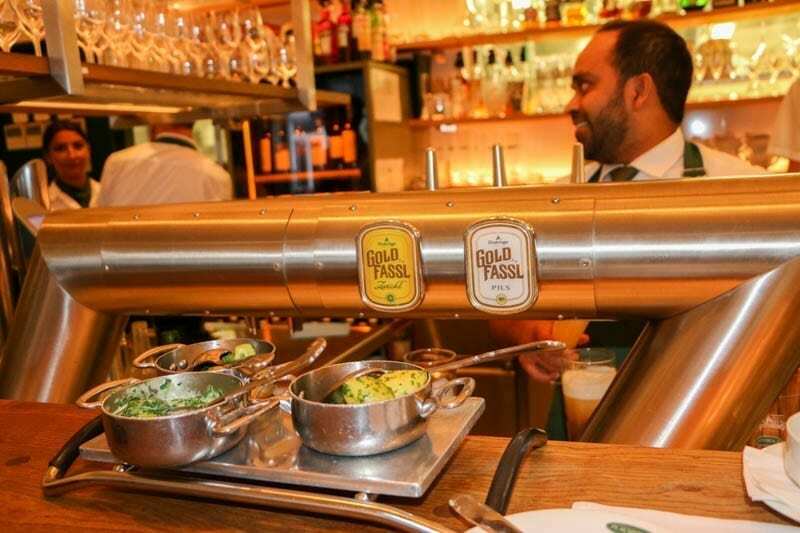 But they made this vegetarian an amazing meal of vegetables and potatoes. 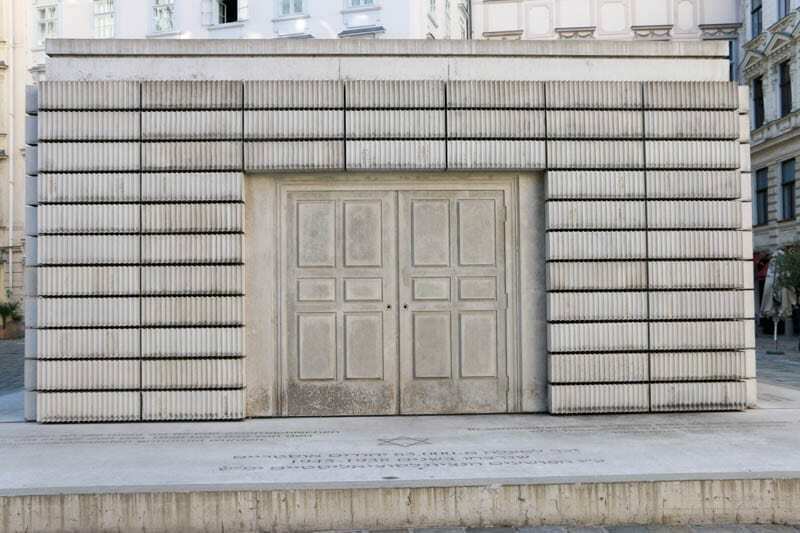 This Holocaust memorial in the Jewish quarter looks to me like empty books stacked in a library. But it is purposefully left open to interpretation. I almost went home in a deep depression on this day. But a tour guide walked by carrying a sunflower. I followed her and the day unfolded into something beautiful. I lost my train ticket and walked an unexpected three miles. That’s how I stumbled on a memorial to Stalin. 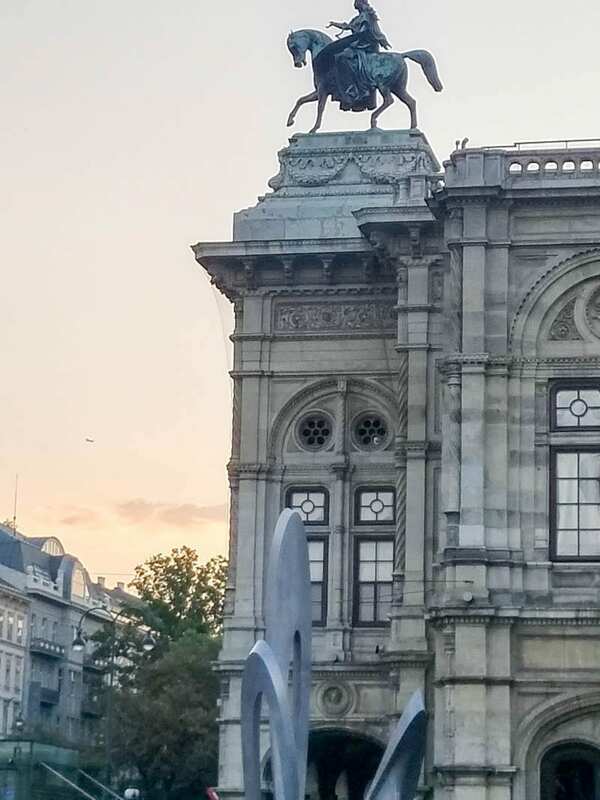 They can’t take it down in Vienna, due to a post-war agreement to maintain all tributes of the victors. These little plates are in the ground all over Vienna. 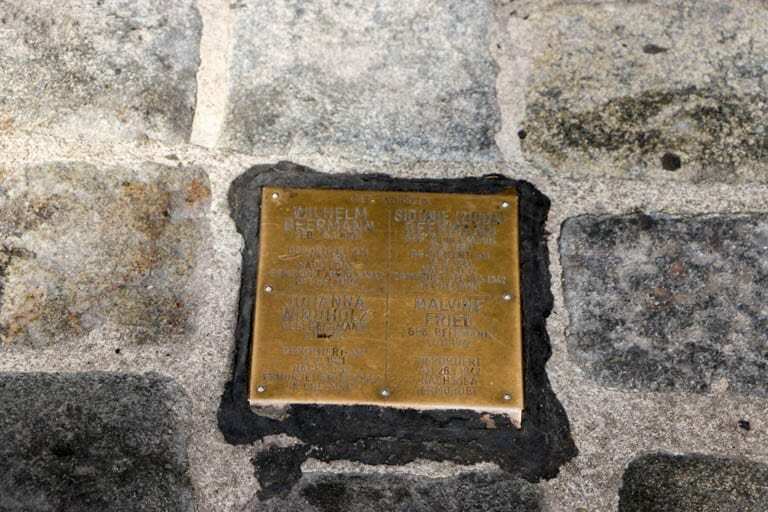 They mark the homes of people who were deported during the war. You have to look close, but they are everywhere. Jeff liked this memorial and I can see why. It stands where an apartment building once stood. It became a tomb when it was bombed and 400 people died. 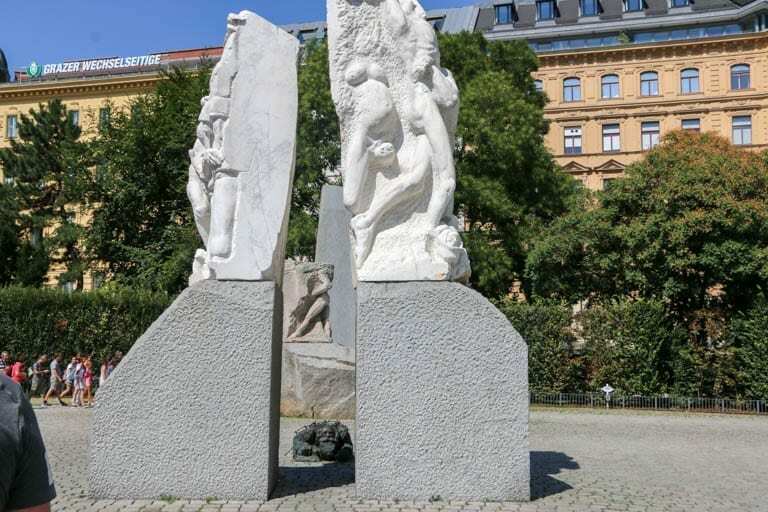 The man in the middle of the stones is a memorial of the day when Jews were forced to clean up trash in the streets of Vienna. My directions from Susan Elko were to “get lost finding the library”. I didn’t mean to follow those directions so literally. But I did, indeed, get very lost finding the library just as Jeff did. Here it is! The library. 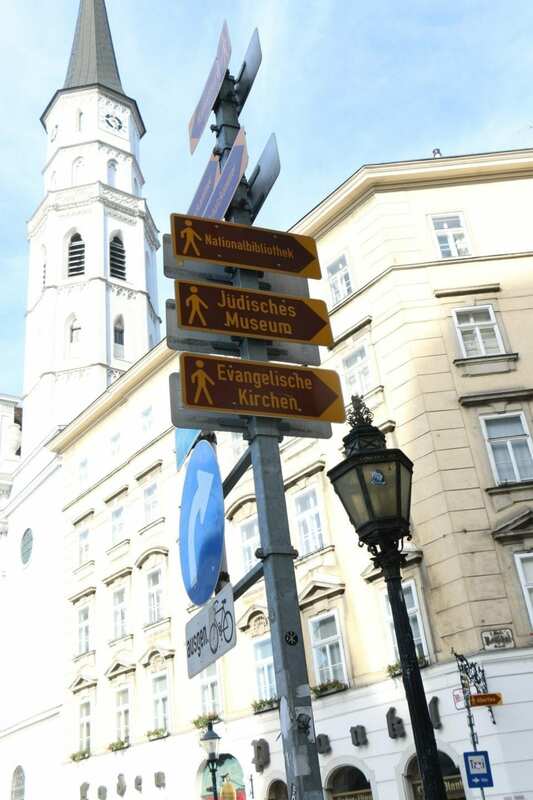 It was here that Hitler gave a speech when Austria was “reunited” with Germany. More than 200,000 people filled the lawn. 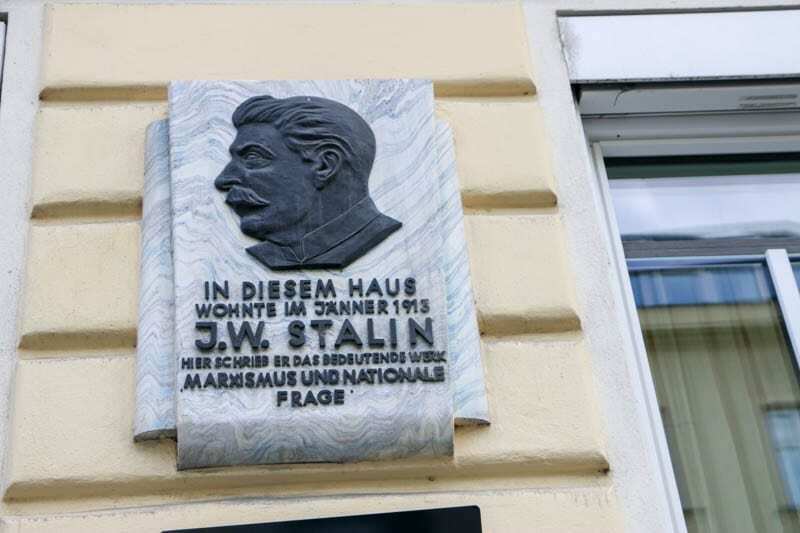 Hitler stood just above that red sign on the balcony. My tour guide noted that the silent majority stayed home.